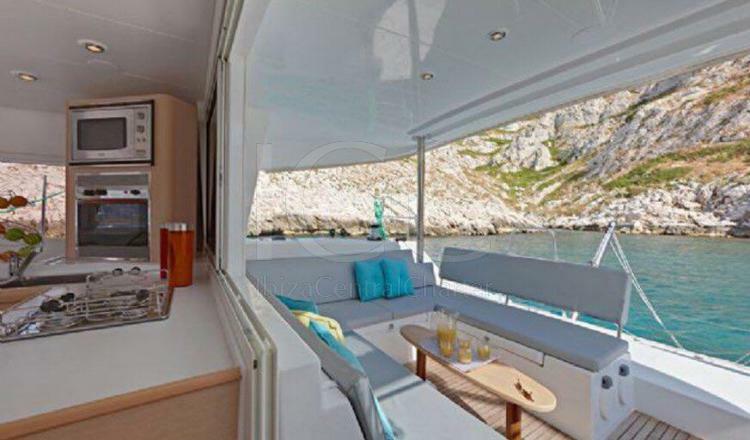 Lagoon 400 of 12 meters ideal for 12 people in Ibiza and Formentera. 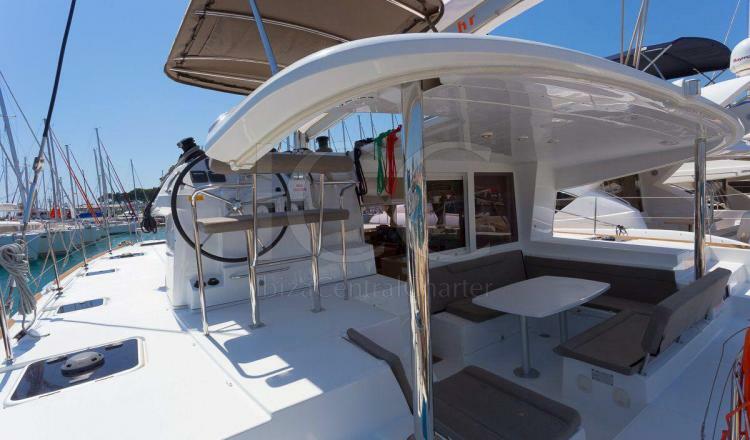 Spacious and comfortable catamaran that will allow you to relax in the turquoise waters of Ibiza and Formentera. Perfect for groups of friends or family. 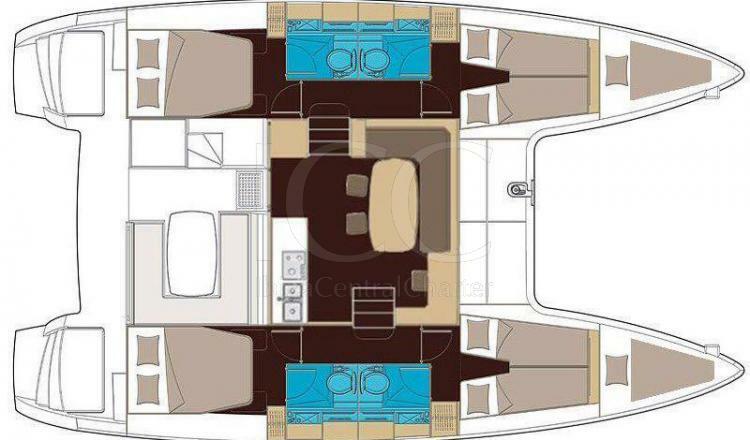 The Lagoon 400 is an ideal boat for an unforgettable vacation with space for up to 12 passengers. 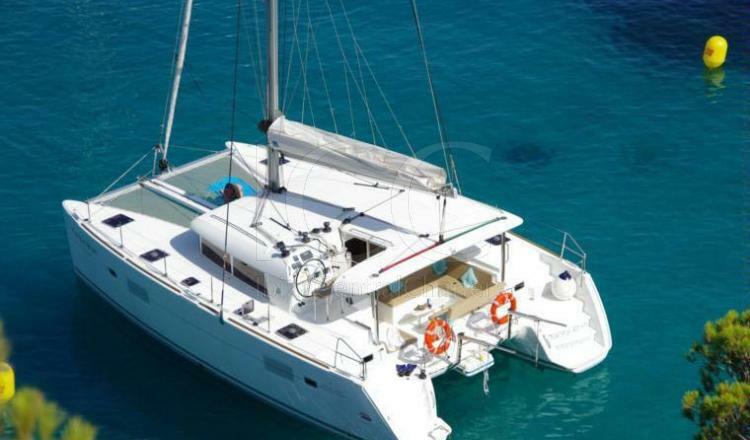 It has 4 double cabins with four full bathrooms that allows total privacy during the holidays. 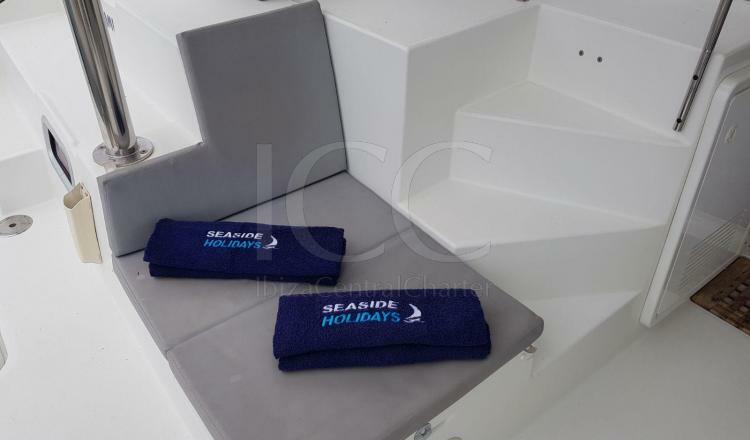 Additionally, it has 2 rabbit hutches for occasional use and a large convertible lounge. The living room has a comfortable sofa with a table from which you can see spectacular views thanks to its panoramic windows that allow us to see everything that happens around. The kitchen is equipped with all the necessary amenities, a fridge, freezer, stove with 3 burners, oven and microwave are some of the equipment that we find and that will make you feel at home. 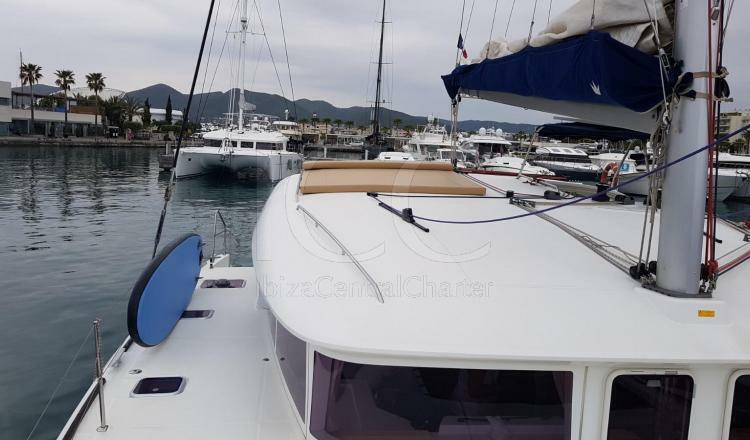 This catamaran has air conditioning installed in the 4 cabins and the lounge. 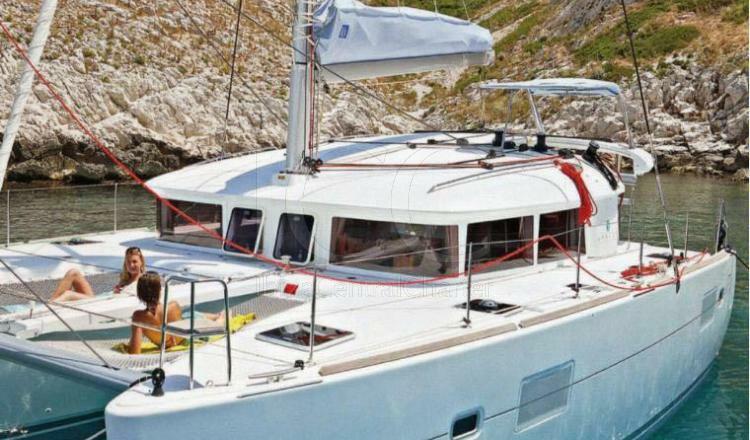 Outside there are several areas to relax and sunbathe, a wide net in the bow and solarium mats aft. 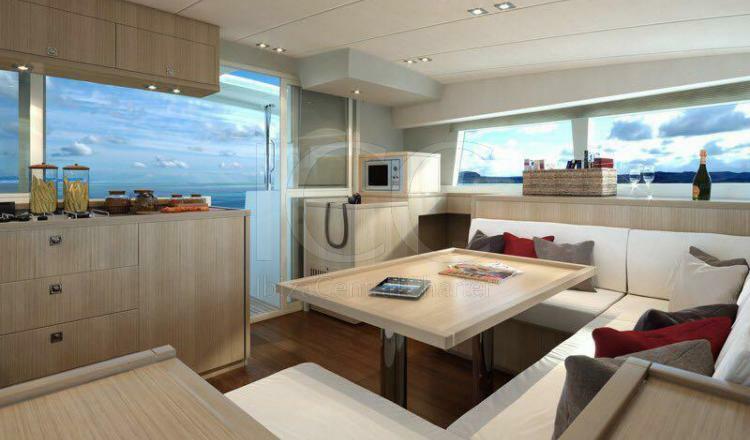 In addition, aft is located the covered terrace with sofas and a table to rest watching the sunset. A perfect plan to regain strength in our trip.